Unified endpoint management delivers IT and security leaders the technology needed to manage and secure smartphones, tablets, laptops, desktops, wearables, and the Internet of Things (IoT). 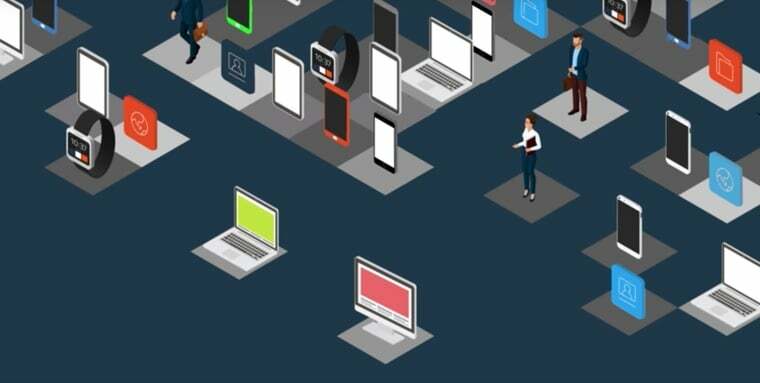 With Watson™, IBM® MaaS360® is the only platform that delivers an AI approach to UEM to enable endpoints, end users, and everything in between — including apps, content, and data. Delivered from a best-in-class cloud, MaaS360 has earned longstanding recognition for fast, simple, and flexible deployments. Its open platform makes integration with existing apps and infrastructure seamless and straightforward. Around-the-clock customer support and services are available to maximize success and net a quick return on your investment. Join thousands of global customers who use MaaS360 to protect their enterprise data, enable user productivity, and comply with industry-specific security and privacy regulations. See how Independent Health is using MaaS360 to protect PHI in a highly regulated environment without hindering large-scale operations. With Watson, MaaS360 helps G2SF make informed decisions to protect endpoints, users, apps, and data for the public sector. ISS needed a way to provide intuitive, instant access to apps for field workers while scaling support for its global workforce. Gain visibility and control over iOS, macOS, Android and Windows devices, and Internet of Things (IoT). Separate work from personal data and prevent data leakage. Learn how to bring security to your employee-owned devices. Remediate risks from mobile malware and compromised devices. Distribute, manage and protect applications across endpoints. Enable and protect the latest iPhones, iPads and Mac models and their apps. Enroll and secure the hottest Android smartphones and tablets from most hardware providers. Support and manage Windows 10, Windows 8 and Windows 7 laptops as well as Windows Mobile devices. Download your complimentary copy of the Gartner MQ report now and see how IBM is well-positioned as a leader. Download now and see what mades IBM MaaS360 with Watson a leader in 2018. Download the full report to determine what made IBM a market leader in 2018. Download the full report to read what EMA says about the UEM capabilities of IBM. What is a unified endpoint management solution? How does it address complex enterprise use cases? What are best practices for a successful deployment? Get the answers. Organizations can use MaaS360 to increase security and productivity in their ruggedized device environments. If your enterprise is creating custom images and installing them one-by-one on new end-user devices before they can reach your employees, you’re missing out on the advanced capabilities of Microsoft Windows 10 and Apple macOS that can help streamline deployment. Unified endpoint management with MaaS360 can simplify migration to Microsoft Windows 10. MaaS360 provides powerful, built-in support for Microsoft Office 365. A mobile security primer and guide to the IBM and Wandera partnership that aims to secure the always-connected workforce. Take advantage of introductory, intermediate, and advanced-level courses to get up to speed on MaaS360 at your own pace. You want to get the most out of your unified endpoint management investment. We have friendly experts and resources at your side to help you achieve your goals for your endpoints, end-users and everything in between. *An unlimited number of devices can be registered per unique user.